Specializing in seasonal small plates intended for sharing, Sessions at The Presidio is the perfect gathering place for social and private events of all types. We offer several packages to accommodate intimate dinners, receptions, corporate events, social gatherings, and full restaurant buy outs. Sessions Private Dining Room is a small space, windowed off of the main dining room with seating up to 24 guests or standing receptions up to 30 guests. Featuring surrounding windows with views of LDAC Campus, the Private Dining Room is a perfect gathering space for your next event, ranging from birthday dinner to baby shower. AV needs may be added to this room. 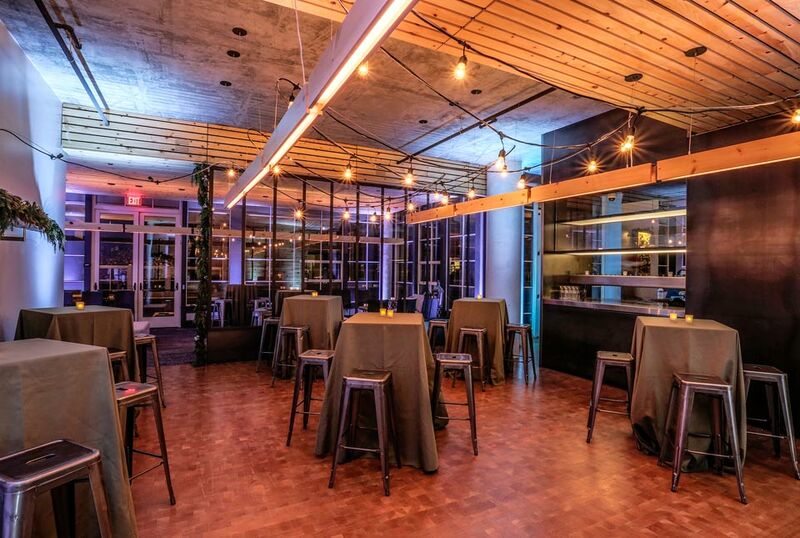 Our Presidio Room is an area next to the Sessions Private Dining Room behind the bar. Seating for 30 guests or standing reception up to 40 guests. This space is ideal for a company happy hour or any social gatherings. Sessions Beer Garden is a beautiful outdoor deck, perfect for social gatherings. The patio is equipped with space heaters and available, weather permitting, year round. 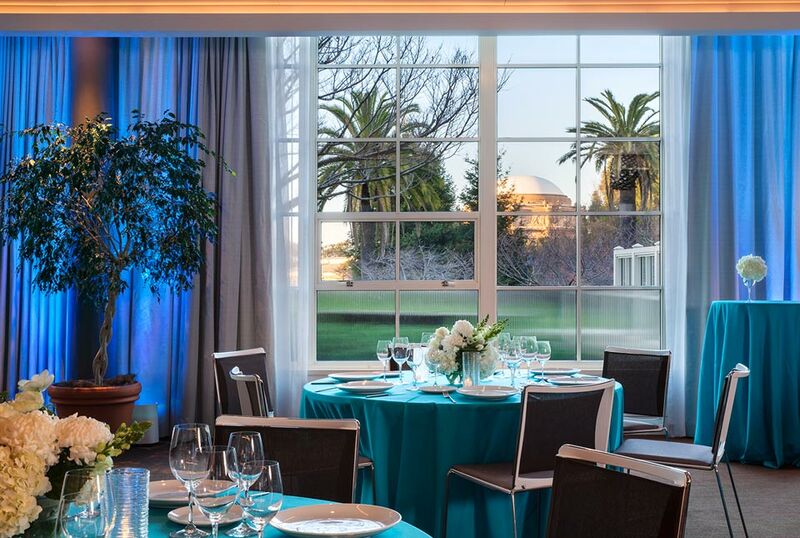 Gorgeous views of the Palace of Fine Arts, LDAC Campus, and the Golden Gate Bridge, surround the patio and create the perfect backdrop for any occasion. The patio is available for reception style events or seated meals, with a seating up to 70 or standing receptions up to 120. The Beer Garden may be combined with the Private Dining Room. LDAC’s Skywalker Room offers various catering options for your next corporate meeting, social reception or weddings seating up to 80 guests or standing receptions up to 120 guests. Features audio visual availability, full length windows with sweeping views of the Palace of Fine Arts and LDAC Campus.